Local artist and designer Mathew Del Degan​ is behind the invasion. 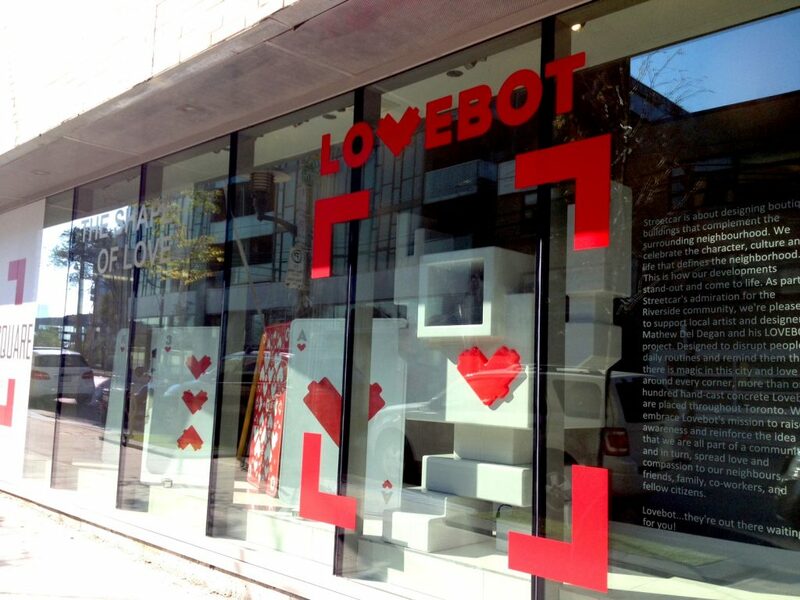 Currently, there are more than one hundred hand-cast concrete bots throughout the city. The unique creations with their bright red hearts are meant to disrupt people’s everyday routines and remind them that there’s love around every corner​. Streetcar Developments has embraced these fun figures at the sales centre for Riverside Square, located at 630 Queen Street East. Drop by to see them in their glory. 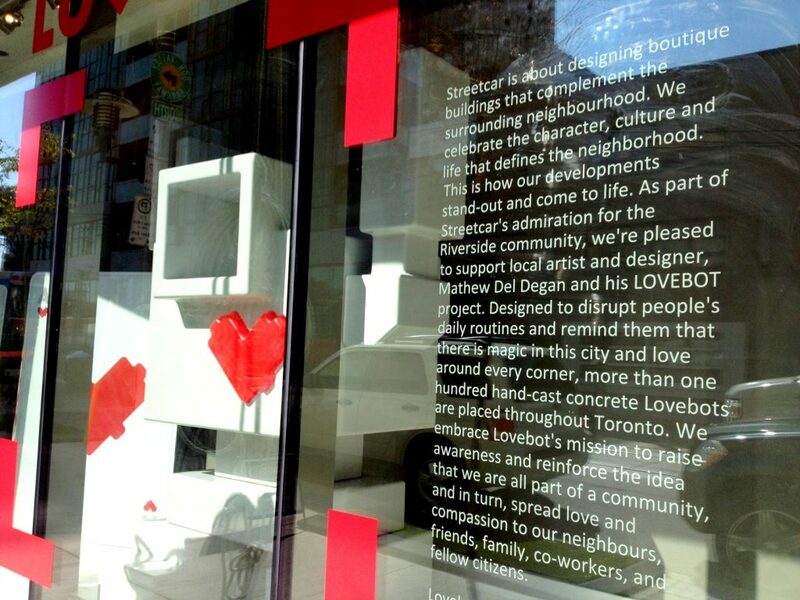 It’s Streetcar’s way of supporting Toronto talent and celebrating the community. 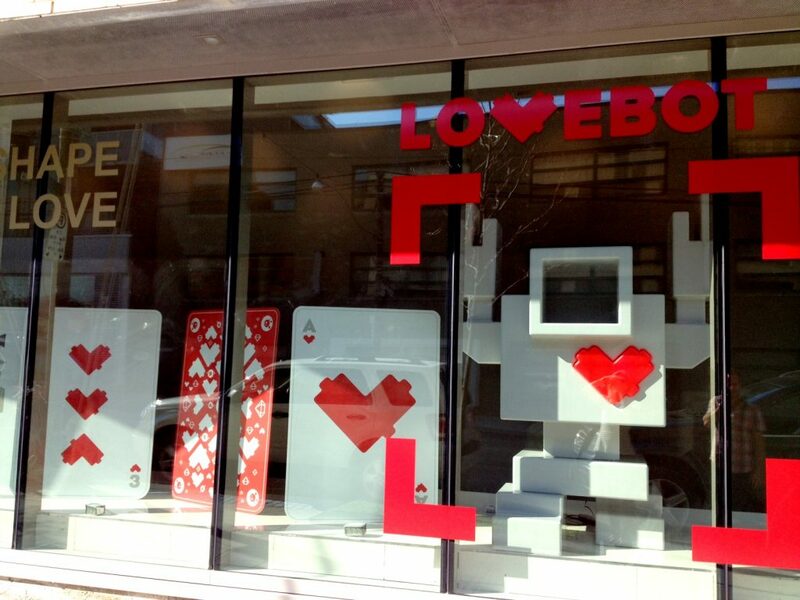 The lovebots will be on display from now until 2015. Streetcar takes community spirit seriously. 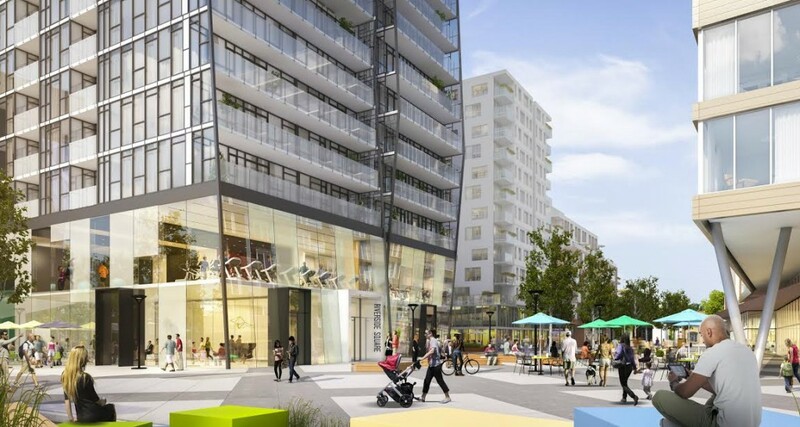 Riverside Square will be a master-planned community along Queen East that will focus on creating connections through the project’s central public square and green spaces. For more information contact info@riversidesquare.ca.